Lancaster Painters Australia are registered for heritage in South Australia and members of the National Trust. We are committed to the conservation, restoration, reconstruction and beautification of heritage buildings, houses and Churches in Adelaide and Greater Adelaide. As masters of the trade, we have been consistent in providing painting methods that are reproduced using the same paint methods and materials employed after which painting methods began to dominate the industry. Our work is based on exhaustive and continuous research into methods, materials, techniques and styles. Each job is individually hand painted by skilled artisans without compromises in quality, historical accuracy or consistency. We are able to reproduce the traditional paint finishes, decorative finishes, artwork and designs pertaining to the style, character and look of the original period look by analysing original paint scrapings and documentary evidence. 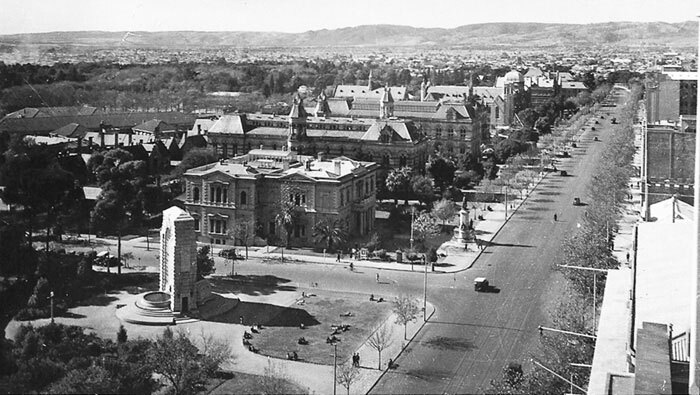 Our heritage conservation Adelaide portfolio boasts the Museum for Economic Botany, the Adelaide Town Hall, “Roseneath” National Trust Georgian Villa and so much more. What is Heritage Conservation Adelaide? Conservation-restoration, also referred to as conservation, is a profession devoted to the preservation of cultural heritage for the future. Heritage conservation Adelaide activities include examination, documentation, treatment and preventative care. Not only do we conform to the Burra Charter, but we are also very passionate about retaining the heritage skills required in order to conform to the principles of the Burra Charter. In February 2013, Master Heritage Painter Gary Lancaster ran a workshop of heritage specialist painting skills for the graduate architects of the University of Melbourne. Gary is passionate about retaining traditional heritage skills for future generations to enjoy. Without the training of skills and supply of the historic tools used by past masters, such finishes are becoming a dying art and need to be retained by future generations. See more about traditional heritage skills and our traditional Adelaide heritage painting services.